Black Friday begins as early as midnight for some businesses and goes throughout the day on Friday. 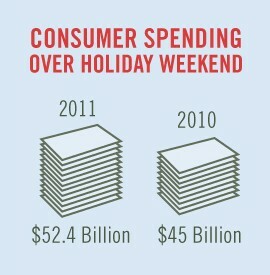 Last year, shoppers spent $11.4 billion on this day alone. Shop Small Saturday was created to remind consumers to patronize local businesses. 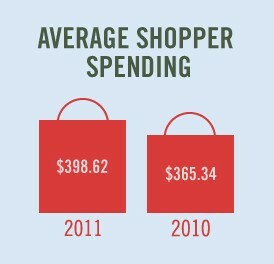 American Express reports that more than 100 million shoppers “shopped small” last year. Cyber Monday focuses on online shopping. 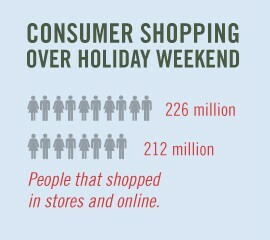 In 2011, online sales were $1.2 billion, up 26% from the previous year. Money stays in the community. 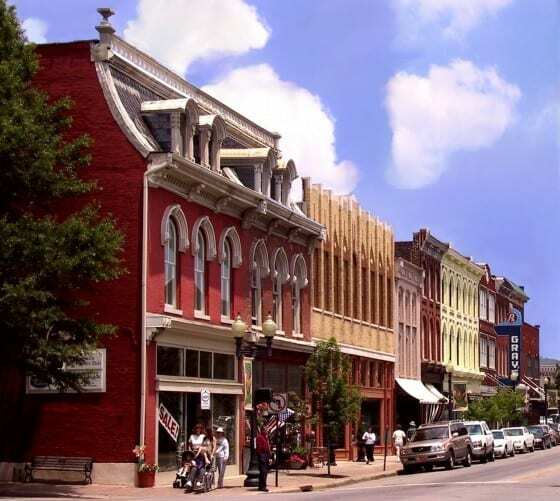 A research study by Civic Economics showed that local businesses return 52% of revenue to their local communities. Large chain retailers return only 14% back to the community. Consumers get better quality and more unique products by shopping at small, local businesses. Who needs another $5 toaster manufactured in China? Holiday shoppers can usually find more meaningful gifts at local shops. Small businesses create jobs. In a time when jobs and the economy are at the top of everyone’s minds, consumers can do a lot to help create jobs locally by shopping locally. Small businesses currently employee 42.7 million people—35.4% of the workforce. Small business owners are experts. Need some information or advice? 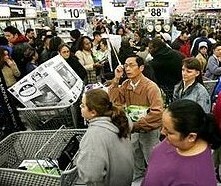 Good luck trying to find someone to help you in a box store during Black Friday weekend. And if you do manage to snare an employee, is he going to be able to help you pick the perfect gift for Dad? Probably not. Small business owners are passionate about their products and available to help. Shopping locally helps the environment and local charities. Small businesses donate money to local charities at twice the rate of large businesses. And shoppers help the environment by limiting travel. Specific ways to market your business as local. Advice to help you make the most of Cyber Monday. Interviews from three successful small businesses that focus on Shop Local marketing. Some small business love from Harper Grey. Our awesome designers have a little pre-holiday gift for you. Download our free Shop Small Signage to display in your shop window. There are three designs to choose from! Print them out, hang them up and show your support.